(NoHit) 20 tracks (53:48) his classic and legendary 1950s recordings. 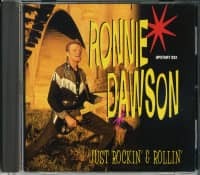 R onnie Dawson was an incomparable performer who mesmerized and dazzled crowds everywhere he played. He delivered his unique brand of Texabilly, Blues and Rock 'n' Roll, with explosive energy that would have him jumping up and down, leaving the stage to jam among the crowd with his wireless guitar, and tirelessly shaking 'em up like a man half his age. In fact, the vibes he put out were so contagious that everyone who saw him perform came down with Rockinitis! 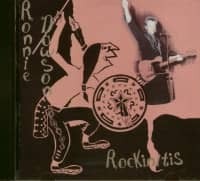 For those confused by my attempt at humor, Rockanitis is a song that Ronnie sang and recorded. But just why was Ronnie so contagiously entertaining? I really believe it's because he was always the one cat at the gig having more fun than anyone else in the joint! 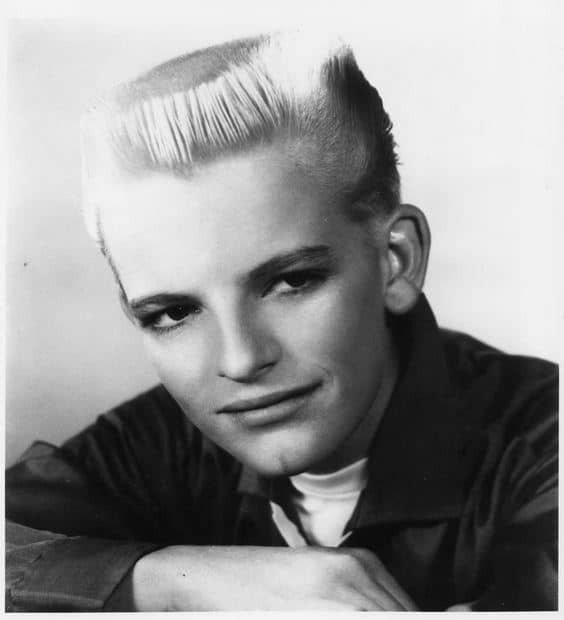 Ronnie Dawson had some early success and notoriety as a Dallas, Texas, teen sensation in the late 1950s. The history of those early years is readily available elsewhere and will not be addressed here. Why? Because in reality, Ronnie's most prolific years were the last fifteen of his life. By the early 1990s Ronnie had arrived at the top of his game and would remain so until his untimely demise at the young age of 64 in 2003. He was fresh, relevant, and constantly writing, seeking and performing new material. He was in no way a golden oldies or nostalgic act resting on his laurels. 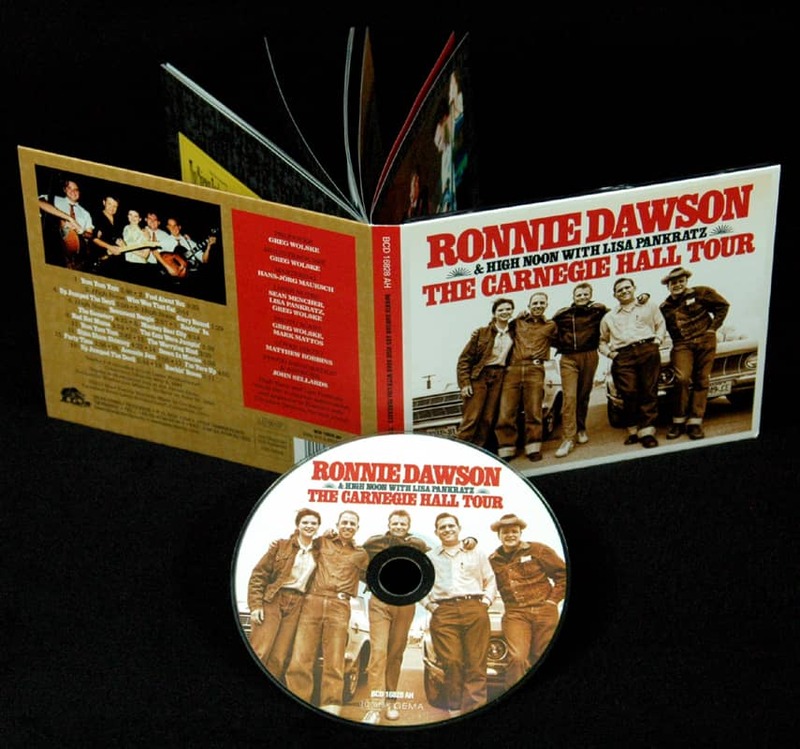 The recordings published here for the first time anywhere, offer a glimpse of what is the epitome of Ronnie Dawson during what surely was the most exciting, creative and fruitful times of his life. 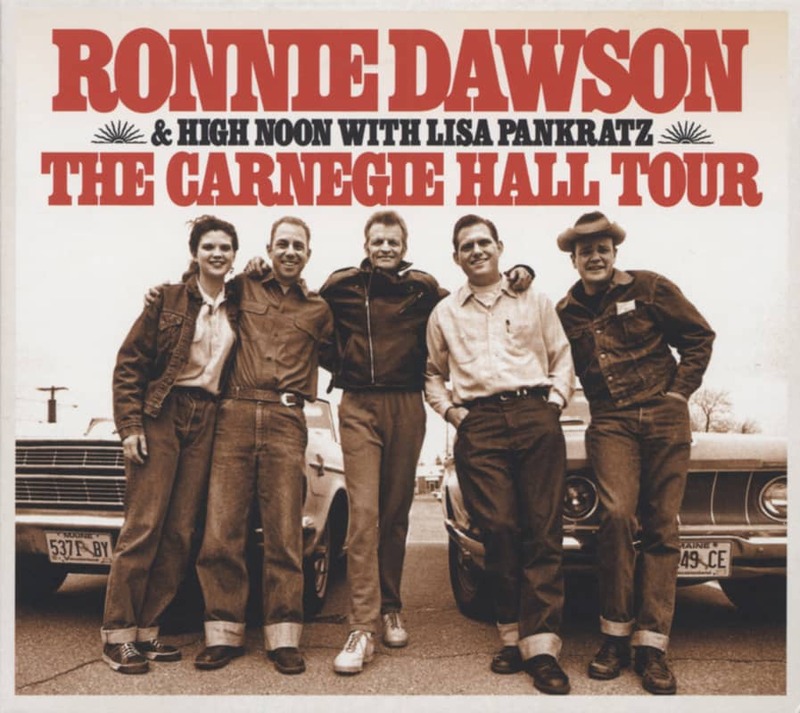 On April 29, 1994, Ronnie Dawson was presented with the rare opportunity and honor to perform at Carnegie Hall in New York City. The show, entitled 'Deep In The Heart Of Texas' was a finale in a series of concerts promoted as the 'Carnegie Hall Folk Festival'. Ronnie's back up band for the evening included members of High Noon, a Rockabilly Trio from Austin, Texas, featuring Shaun Young on acoustic guitar, Sean Mencher on electric guitar and Kevin Smith on upright bass. Rounding out the group was another Texan, Lisa Pankratz on drums. The show was a huge success. The 'New York Times' printed a great review and a large photo of Ronnie and the band on stage appeared on the front page of the Arts & Leisure section. Unfortunately, Carnegie Hall banned all recording and photographic devices from use during the concert and there is little archive material available of the actual performance. Fast forward to November 2010. Sean Mencher emailed me and said he had been reminiscing and listening to the Carnegie Hall concert on tape. My immediate reaction was what tape? Did he mean the recordings made at my studio around that same time? No, as it turns out, I had totally forgotten that I had attended the Carnegie Hall show with a recorder under my clothes and a microphone up my sleeve! Now in my defense for committing such a dastardly deed, my only motive and intention at the time was to give Ronnie Dawson a personal memento from one of the greatest moments in his life. Regardless, Sean suggested that we release that tape on a CD, but after careful consideration, it was determined that in addition to being a potential legal hassle, the quality of the recording from my perch way up in the balcony was simply not up to snuff. Fortunately, the story doesn't end there. While digging back through my stash of stuff I realized that I had other recordings from what was promoted as 'The Carnegie Hall Tour'. After the Carnegie Hall concert in New York City, Ronnie Dawson, High Noon, Lisa Pankratz and manager, Josh Arnson, loaded up their van with freshly printed Carnegie Hall Tour T-Shirts and hit the road! One of their early stops was in my home town of Columbus, Ohio, on May 5, 1994. The fact that it was only six days after the Carnegie Hall show was something I had not readily remembered either. Anyway, back in New York I had asked Ronnie and his band members to come to my studio while in town and I would shoot some footage of them for my film, 'Tear It Up! : The Rockabilly Documentary'. Everyone seemed open to the idea and I headed back to Ohio to prepare for their arrival. Back home at my studio, I threw together a stage type back drop setting which included sticking (and risking) my collection of vintage Rock' n' Roll movie posters on the wall. I enlisted the help of my good friends, Ron Widman and Mark Davidson, cameraman and audio guru respectively. When Ronnie and company arrived we set up their equipment, opened some cold beer and got ready for some good ole pickin' and a filmin'! Since this was in my studio, I was able to place and use a lot more microphones in and around the band than I would normally use on location, and we plugged those into an analog eight-track reel-to-reel recorder. High Noon performed a few songs and then Ronnie and Lisa joined in for what would be one take recordings with no overdubbing. It wasn't until later that I realized just what we had captured. I spent a good several weeks mixing those eight tracks down to stereo. I even set up a microphone and speaker in my studio's 100 year old basement stairway for a natural reverb/ambience effect. When I listen to the final recordings published here, I'm amazed that a casual evening of one take, live jams could produce such tight and incredibly well executed songs! Credit of course goes to Ronnie, who definitely was hamming it up for the camera. But I believe having just come off the Carnegie Hall show he was also in a very good, relaxed and happy place mentally. Then there were those four young, very talented musicians who grabbed and hung on while Ronnie took off! Sean Mencher's back and forth lead guitar play with Ronnie's lead playing is awesome. Shaun Young, who really shined on stage during Ronnie's live shows, can be heard here strummin' some great acoustic guitar rhythm. Kevin Smith on slappin' upright bass and Lisa Pankratz on drums, are possibly the best back beat duo I've ever heard! Throughout May and June of 1994, the Carnegie Hall Tour continued with shows in Pittsburgh, Chicago, Louisiana, Texas and elsewhere. On June 25th, Ronnie, High Noon and Lisa, performed at the 2nd Annual Rockabilly Rebel Weekend festival which took place in James Dean's hometown of Fairmount, Indiana, and in nearby Marion, Indiana. I and my large crew of two were in attendance as well, shooting film of the various bands and conducting some interviews for my Rockabilly documentary. The headliner show was in a hotel ballroom with no sound equipment other than a PA system for vocals. So for my audio recording I used two Shure 57 microphones, one pointed at the band and one pointed at the PA speaker. While we did not film all of Ronnie's performance, I did leave the audio tape running for nearly the entire show. This is the source for the live recordings that are also being published here for the first time anywhere. Kundenbewertungen für "Rockin' Bones (CD)"